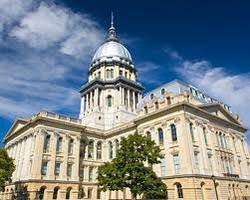 The Illinois Retired Teachers legislative platform represents long term goals of the association. Items contained in the legislative platform provide IRTA Legislative Committee and Board of Directors' positions on significant issues affecting the members of IRTA. b. IRTA opposes any legislation that reduces funds available for pension funding. d. IRTA supports increases in funding to pay for the increase in liability resulting from benefit improvements i.e. ad hoc increase for annuitants retiring before 1980. IRTA supports maintaining and improving health insurance benefits (TRIP) for its members. b. IRTA opposes the use of defined contribution plans to cover TRS members. inflation and to protect the purchasing power of annuitants. relationship, the benefits of which shall not be diminished or impaired." 120 days or 600 hours per year.